The sky changes by the minute. As I am writing this, the calm ice covered landscape I was loving this morning is being battered by a westerly gale and driving heavy rain. Unsettling and mind numbingly grey to boot. I could complain, moan, slump. Every part of me wants to go horizontal, hide under the warm duvet, dream about Greece. The evening is setting in again and the heat will have to be cranked up another few notches. Winter can sometimes be a matter of holding on for dear life until the light returns. A time of hibernation and low energy. So I write out the slump here and ride out the darkness in my head. A combination of gritting the teeth and letting go the effort. The news is bad here but worse in other places. The fragility of life and the lack of certainty seeps through every bit of the veneer. Uncontainable. 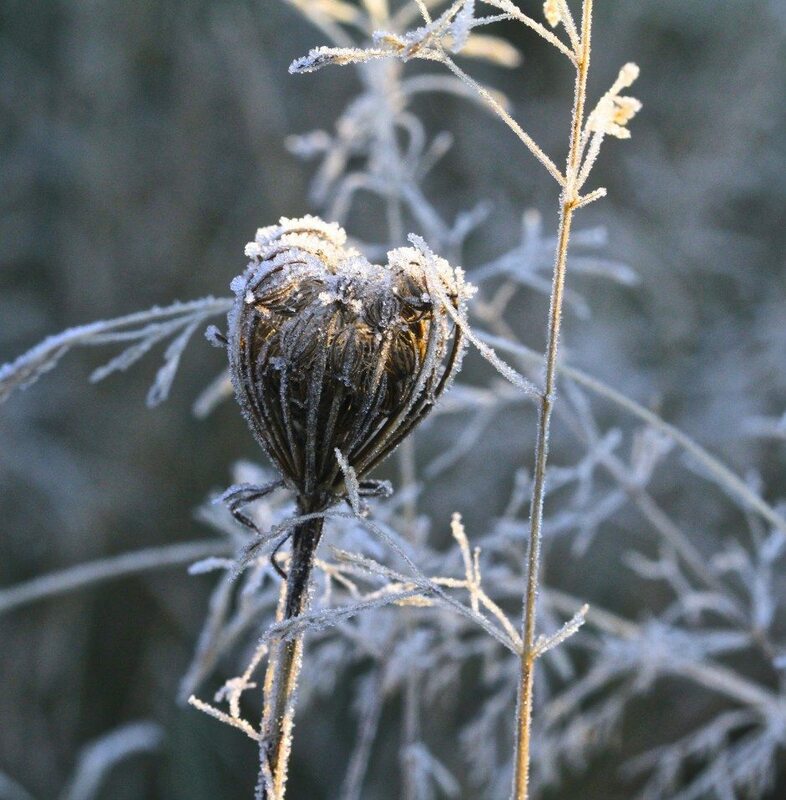 The silvery foliage I snapped in the frosty early hours lights up the screen. I put on another pair of socks knowing that the only thing to do is get back to work. 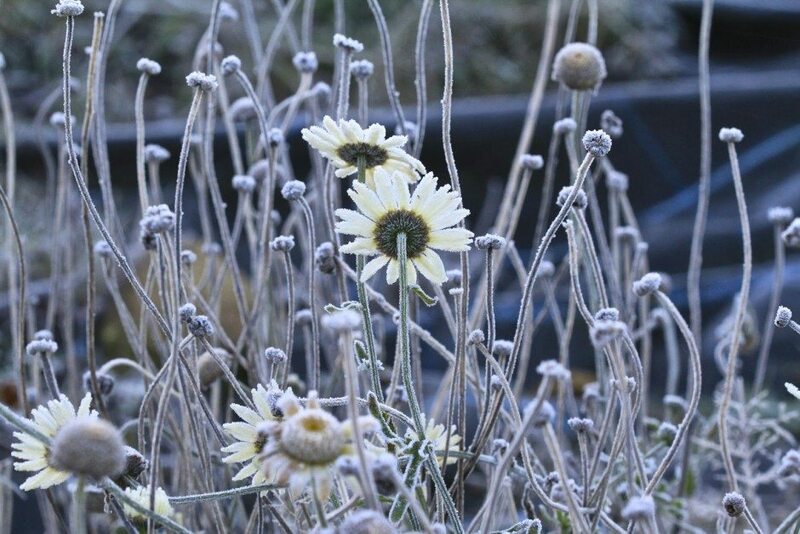 I like the photo of the little frost covered daisy. Isn't it funny that while you're dreaming of Greece, I'm dreaming of your Ireland? 🙂 But thankfully, I don't have to dream much longer! I'm coming back in September!!! Yay! Dream away and Ireland will be ready for you by then. This morning we are still in wild gale mode….. I know about winter blues also. winter in southeastern idaho is very often without sun for days. When the temps fall below zero F. and no sun I look at gardening magazines. I like your style and I notice at this time of the year our TV stations have oodles of gardening programmes just so we can all dream about being out there I suppose! Stunning photos, eye-catching… You could take my place and I would come see your silvery foliage..
O I would do that in a heart beat !!! Spent a few weeks in the Peleponese last year, what a stunning place. You are on!! Thanks Annie, I'm needing all the light I can get right now, as I'm sure we all are. And look here it comes……. Thank you for this winter beauty. 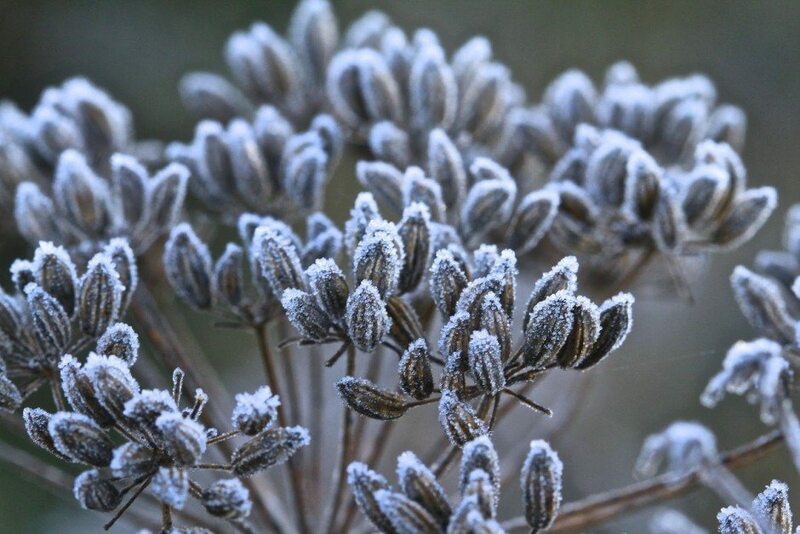 The frost makes everything looks like a jewel. Thank you Amelie, I hope we have some more of it and the blue skies it brings….. 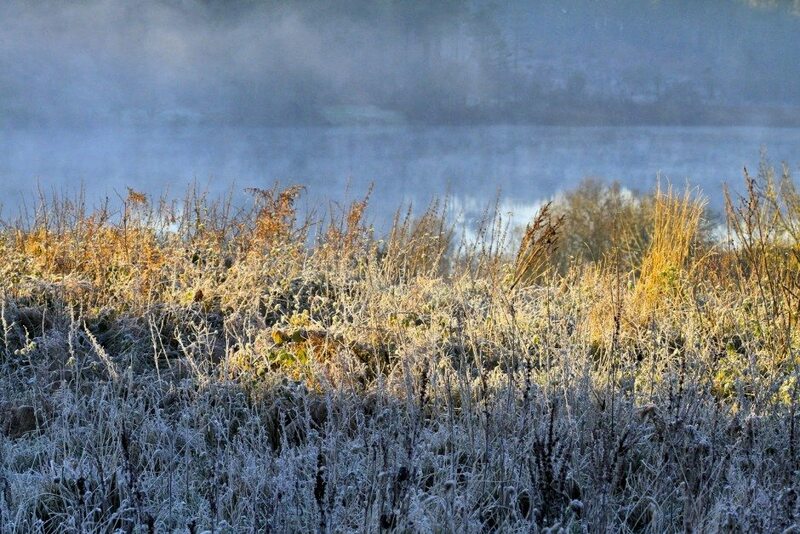 Such beauty in those frosty mornings! Thanks so much for sharing your part of the world! Super shots, Catherine. 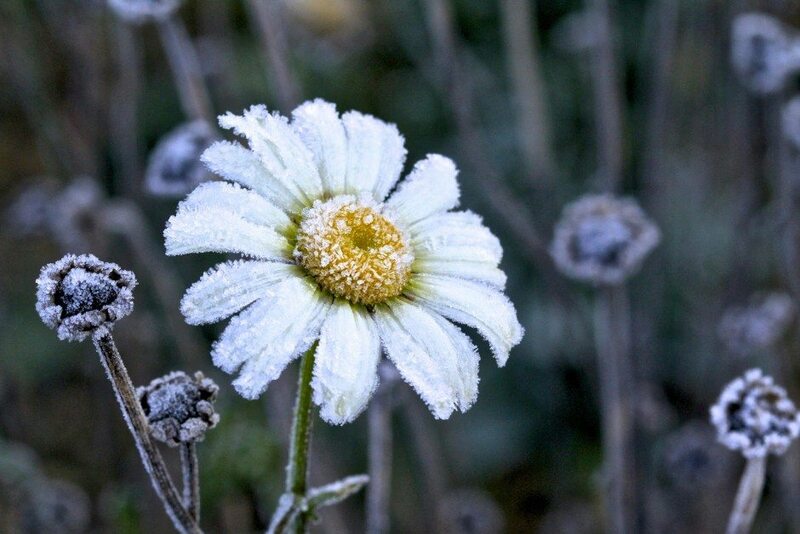 I really love the one of the frost covered daisy – stunning.